But observation is simply not enough. One of the biggest lessons my colleagues and I have learned while developing the Center for the Future of Libraries is that studying change is useless without considering values. We need to look at trends and changes with consideration of our own professional values (confidentiality and privacy, diversity, equitable access, intellectual freedom and expression, preservation) and the values that we seek to provide to our communities (a civic commons, democracy, discovery, education and literacy, public discourse). And so, looking at changes, we need to ask ourselves what they might mean for intellectual freedom, for education, for equitable access, or for any of the other values that drive our work. As we bring together our observations of change with the constancy of our values, we can begin to exert influence. We can learn which trends advance our work and which might challenge our work. And we can plan accordingly, using some trends to our greatest advantage or doubling down on our values to stem the tide of problematic trends. How do values help you think about and envision the future of libraries? EMILY DRABINSKI: I got into libraries because I share the core values of the profession. I believe in democracy, equity, access, privacy and confidentiality, diversity, lifelong learning, and the right to read. I understand that those values haven’t been fully realized—libraries have histories of segregation, have struggled to diversify, and have sometimes shared patron information with authorities. Values are things to aspire to and to return to in order to guide the actions we take in the present that make the future we’re all going to be living in tomorrow and the next day and the next. We often imagine futures where libraries do entirely different things, serve entirely different purposes. 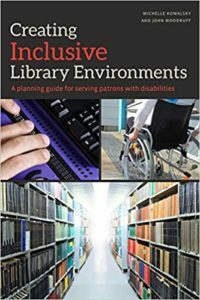 I am more interested in a future where the core functions of libraries continue—where libraries continue to select, acquire, organize, share, and make accessible information resources of all kinds, and instruct users in the use of those resources. I think of a future where we integrate our values fully and completely into those core functions. Examples might be knowledge organization schemes that reflect differences among us and resource collection models that both select and enable the creation of materials from all perspectives. SARAH HOUGHTON: I come back to the core ethics and values of the library world with every professional decision I make, every project I pursue or reject, and every idea I support. 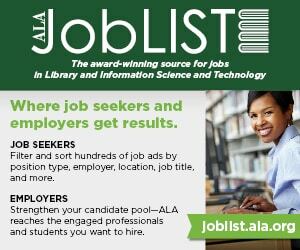 As director of a public library, I think about how the values I promote to our team will affect the future of library services to our community. Likewise, when I decide what to publish, what to raise awareness about, and what to say publicly about our field, I come back to those same core ethics and values. I want a future where the values of library workers matter, where we recapture our steadfastness and passion for privacy, social equity, and freedom of information. Libraries serve our communities. The moment we forget that, we forget ourselves. CHARLOTTE ROH: Like many librarians, I entered the profession because I wanted to help people. I see libraries as places of helping, and librarians as people who help. Libraries are not neutral spaces. But they are quite often perceived to be neutral, and in that perception of neutrality—and in the library as sacred space—we can achieve a lot of good if we ourselves strive to be self-aware. Social justice is a moving target and means different things to different people at different times. This means we must continue to grow and strive toward better librarianship and better libraries so that in crucial moments, libraries can be heroic, like the Enoch Pratt Free Library’s service as sanctuaries in Baltimore and the Ferguson Municipal Library’s role in Missouri. One of the best aspects of librarianship, which makes me hopeful about the future of libraries, is that professionally our soft skills—compassion, kindness, and true listening—are valued just as much as our abilities in search, instruction, or knowledge organization. These values and skills are universally acknowledged and appreciated so that librarians and libraries are beloved around the world, and that makes me feel very positive about our future. Getting access to capital, mentoring, coaching, and workspace needs are key issues that face black and Latina women starting in tech entrepreneurship. A network of support can help. Using metrics, says Darlene Gillard of Atlanta’s BIG Accelerator program, can get the funding faster and helps confirm success. Amy Koester and Amita Lonial’s “Building Civic Engagement with a Civic Lab” session covered their experiences with the Civic Lab at Skokie (Ill.) Public Library, a pop-up library. They highlighted six areas of civic engagement via microcollections, resource lists, and interactive activities, like a passive voting wall and postcard writing station, as well as community conversations with elected officials and others. From Skyping with Rube Goldberg’s granddaughter to facilitating a video conference between a professor from Cornell University’s Lab of Ornithology and a budding middle school ornithology expert, librarians can open the classroom learning experience to conversations with established and emerging experts, as speaker Andy Plemmons has. Plemmons, school library media specialist at David C. Barrow Elementary School in Athens, Georgia, says he invests time cultivating in-person guests, including children’s authors and illustrators. He has also experienced the serendipity of social media—sharing news of what his students are learning in the school library and having his conversations reach big-name speakers. Sustainability expert Rebekkah Smith Aldrich, coordinator for library sustainability at Mid-Hudson Library System in Poughkeepsie, New York, says by using a “triple bottom line” test—asking if something is environmentally sound, economically feasible, and socially equitable—librarians can ensure that the most important bases are covered as they make decisions about services, buildings, and the community beyond library walls. Matthew Boyer, codirector of the Digital Media and Learning Labs at Clemson (S.C.) University, and copresenter Stephen Moysey, codirector of Clemson’s Center for Geospatial Technologies, have been working on projects to test whether virtual reality will become the next content delivery platform. They are interested in using virtual reality to support immersive, interactive game-based engagement within a contextually rich learning environment. Virtual reality allows for place-based learning that moves beyond the traditional field trip. Several libraries participate in National Welcoming Week, a project of Welcoming America, which helps bring together immigrants and US-born residents in a spirit of unity. Welcoming America’s Isha Lee emphasized that true social innovation requires consideration of the whole person’s needs, not just his or her perceived economic value or benefit. One in four adults will have a disability at some point in his or her life, which should encourage everyone to view accessibility as benefiting “us,” not some vaguely defined “them.” Accessible features like curb cuts and closed captioning expand benefits beyond any single audience and improve experiences for all. That was the focus of the presentation by Patrice Johnson of Chicago Public Library, Pat Herndon of the Georgia Library for Accessible Statewide Services, and Jill Rothstein of New York Public Library’s Andrew Heiskell Braille and Talking Book Library. A universal approach develops innovations that integrate and include all. Jeffrey Martín, founder and CEO of honorCode, a program that aims to integrate coding into the K–12 curriculum, says that media specialists and librarians play a role in incubating these programs—and other STEAM programs—and making them successful. He sees them taking on responsibilities as teachers and instruction partners who stay up on computer science and technology trends; as information specialists who provide leadership and expertise in acquiring and evaluating information; and as program administrators who guide activities and work collaboratively with the community to define the program and build partnerships. San Rafael (Calif.) Public Library Director Sarah Houghton used the framework of ALA’s Library Bill of Rights to revisit what librarians say about their own ethics and apply them to current situations. 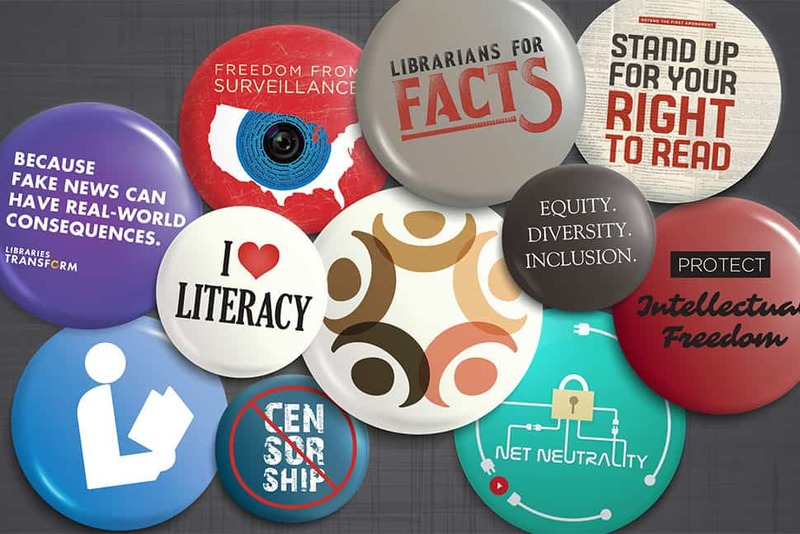 One rallying point for most libraries is fighting censorship in all its forms. As professionals look ahead, new technologies like digital rights management—which allows content creators to “lock” content that can be opened only with a special digital key—or concepts like net neutrality—which champions an open internet free from “fast” and “slow” access channels based on cost or providers—will require professionals to consider their values as a means of navigation. What trends or changes do you see right now that might be most useful for advancing our professional values and the services we provide to communities? HOUGHTON: Now is an excellent time to remind our communities that we are not just about books. We are about preserving the cultural and historical record, regardless of which way the political winds blow. We are about access to all information for all people. We are about evaluating the credibility of information to strive to be the rational and thoughtful population we all want to be a part of. People are craving something to do, something to stand up for, something to fight for. Libraries can serve to remind them how to stand up successfully and fight for the future we want. ROH: Many people are finally internalizing the reality of the lives of people of color in this country, particularly on the heels of so much photographic and video evidence of violence and injustice. The US presidential election has been a real turning point. Over the past few years, in no small part due to the influence of Black Twitter and internet publishing, I have been encouraged by a growing awareness of bias and the need for alternative narratives in all forms of communication, from Hollywood to news journalism, from scholarly output to political punditry. Citizen journalism, or community-generated information like the Charleston Syllabus, has been amazing in its impact, and these efforts are an opportunity for libraries to collaborate with communities in providing resources. As a scholarly communications librarian on a university campus, student protests have been important news over the past year. I wrote in C&RL News that the number one request was for more faculty of color, but what has really been change-making is that students are not satisfied by routine answers from administration. It’s more than just students—across our communities, people are demanding cultural competency from people traditionally considered experts: journalists, educational administrators, professors, and yes, librarians. As librarians, it is important that our cultural competencies are on par with the depth and breadth of our critical knowledge-seeking behaviors. DRABINSKI: I try to think of times of crisis as times of great potential. When everyone is angry, everyone has the potential to organize and resist. One of the things LIU Brooklyn librarians learned during the lockout was that “management is the best organizer.” When attacks are made on all of us, all of us can come together to organize and fight. When I look at the present, I see more people calling Congress, joining local political organizations, and stepping up for our union phone banks than I have in the last decade. That’s as positive a spin as I can put on a future that looks quite grim to me. My hope is that assaults on values like privacy, equity, and democracy, assaults that are not new but are newly bold, will mobilize more of us to fight for the future we want. 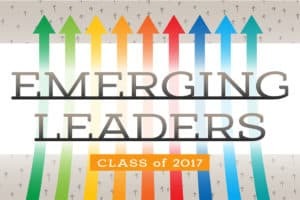 What trends or changes do you see in the world right now that might pose the greatest threats to our professional values? ROH: What has been scary for me as a librarian and a citizen is to see the ways in which misinformation—or fake news, propaganda, half-truths, or the framing of stories—has become such a powerful tool in the United States and abroad, and how major decisions are being influenced by misinformation. In the United States and globally, this devalues the knowledge and resources that libraries commit themselves to providing to the public. In my specific area of scholarly communication, one issue is how global or international academia is bent toward the priorities of the North American and European world. In Latin America and Africa, the scholarly communication platforms and structures that have been built for regional research and publication are being undermined by the commercial forces of big publishing—and even big universities—in ways that are destructive to much-needed local knowledge in our increasingly global world. DRABINSKI: I am most concerned about apathy in the face of continuing erosions of our core values. Diversity, equity, democracy, and privacy all seem like areas that have long been under attack, and will continue to be so. It’s important for librarians to continue to organize on behalf of ourselves as workers, our patrons, and our institutions. My hope is that we’ll turn to models of organized resistance and change that already exist—labor movements and political organizing in communities of color against police violence and mass incarceration—to inform the field’s efforts and make connections to work that have long been underway. HOUGHTON: We must be ever-vigilant—fact-checking, educating our communities, defending the rights of free people to learn freely, and welcoming everyone with open arms. Ultimately, we are stewards of our communities’ trust, be that our residents, our students, our faculty, or our clients. With corporations owning information about our users and distributing that to other for-profit entities, we must preserve our users’ privacy at all costs. We must demand privacy protections from every entity we contract with. We must audit our own activities to ensure that we are protecting our users. We must reiterate to our communities that we are here for access to all information, not just that which is in vogue or politically popular. We must make clear that not all information is valid information. And we must hold true to the inclusivity and diversity that has made libraries, learning, and entertainment the trifecta of strength that it is. 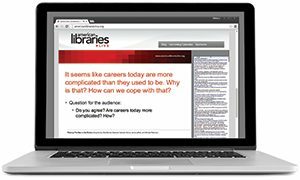 How do values and trends help you innovate or communicate change within your library or with library colleagues? DRABINSKI: All my work returns to the core values I hold not necessarily as a librarian, but as a person trying each day to make the world I want to live in. I want power to be built among people and shared equally. That means things like inviting my colleagues into projects, being consistently transparent about decisions I make and actions I take, trying to listen more than I talk, and asking questions. I also center myself and my colleagues as workers in the library. We are always thinking about student needs, but the learning conditions of our students depend on the working conditions of their faculty and staff, including those of us in the library. The future brings unprecedented attacks on an already-weakened organized labor movement. Donald Trump and the Republican Congress have been explicit about a desire for a national right to work law that would mean a future of gutted unions. That drives my work as a labor activist on my campus, and I use that to communicate the importance of efforts, from petition drives to rallies on campus. I try to communicate that urgency as well as a sense of hope—that things could be different, and we could make them that way. HOUGHTON: I am much less concerned with trends than with core library values and ethics. Virtual reality and book bikes may be trendy now—and we do both in our library—but we do them because they mesh with our core values, namely economies of scale (buying something once so the entire community can use it) and service to all, regardless of location or mobility. When I am pitching a new service idea to my city manager or working with our library staff toward a new project, it always comes back to values. How does this thing help us be better, help our community become better, and reward the immense trust that our community has placed in us to do well with the investment they made in their library? ROH: I’m fortunate in my job at the University of San Francisco to have an explicit social justice mission driving the campus. My colleagues are well informed and aligned with my interest in the intersection of social justice and scholarly communication. In this space, I can say up front that colonial systems and biases in academic research and publishing persist, that they influence what gets published, who gets tenure, what research gets funded, and what scholarship and knowledge is prioritized in the world. My colleagues engage with me on very practical questions like: What does publisher bias mean for our information literacy sessions? How does this change how we purchase databases, and how we acquire open access publications? How do we make sure open education resources are reliable? Change happens when ideas turn into action, and I am fortunate to be in an environment that is already oriented toward changing the world, starting from the library.